When it comes to choosing a birthday, baby knows best. Patience is truly a virtue after nine long months, especially when you’re a few weeks or days from your estimated due date. The swollen feet, extra pounds and late-night bathroom trips can take their toll. Wouldn’t it be easier to just schedule your baby’s birth and get the show on the road? Elective induction offers the satisfaction of knowing your baby’s birth date in advance. Research shows there are benefits and risks to consider. Sometimes those scheduled for induction are bumped or delayed. Induction doubles your risk of cesarean birth. The major risk of elective induction is that your baby may not be ready to be born. Experts agree that a normal pregnancy lasts between 38 and 42 weeks, and research indicates that the baby actually initiates the labor process. Once your baby’s lungs are fully mature, they releases a protein that tells your body that it’s time. In addition, important hormonal events take place in the weeks and days before labor begins on its own. For example, shortly before labor begins, there is a surge of the fight or flight hormones, known as catecholamines, that help prepare your baby’s lungs for breathing air after birth. A routine induction may be scheduled before your baby has gotten the benefit of this hormonal surge. A baby born even a few weeks early is at an increased risk for breathing problems, admission to special-care nurseries and breastfeeding difficulties. Click on the image to see the full infographic or download a printable PDF. There is controversy about whether or not induction increases the risk for cesarean surgery. Although some studies have shown that induction does increase the risk, a major study published in the New England Journal of Medicine in 2018 indicates that induction at 39 weeks can actually decrease the risk of cesarean if enough time is allowed for labor to progress. The American College of Obstetricians and Gynecologists recommends that physicians allow 24 hours or longer for early (latent) labor and at least 12 to 18 hours for the administration of Pitocin after the bag of waters breaks before deciding that an induction is a failure and recommending a cesarean delivery. An induction most often requires more interventions than a normal birth. Usually, you will need IV fluids and continuous electronic fetal monitoring, making it more difficult to move around during contractions. Artificial contractions may peak sooner and be more intense than natural ones. You are therefore more likely to request an epidural, which increases your chances of needing forceps or vacuum assistance and of developing a fever. Finally, sometimes women scheduled for induction are bumped or delayed for a day or more. You have not given birth by two weeks past your due date. You have a medical disease that is not responding to treatment. You have certain medical conditions such as high blood pressure and too much protein in the urine (a condition known as preeclampsia). Your labor isn’t starting on its own after your water breaks and you have a Group B Strep positive culture. You have a uterine infection. Your baby’s growth has been slow for his or her age. If you do not have a medical reason for induction and if you would like to have a birth with as little medical intervention as possible, the best option for you and your baby is to wait for labor to begin on its own. If your pregnancy lasts past your due date, try not to worry. Continue normal activities and remember that you are giving your baby the best start by allowing him to decide when he is ready to make his grand entrance into the world. We hear a great deal about the pain of childbirth, but very little about the joy and pleasure of experiencing contractions. Experiencing labor and childbirth, rather than shutting them out, allows you to feel joy intermingling with pain and then delight in your incredible accomplishment. You will experience an endorphin rush that can feel similar to completing a marathon, a mix of joy, pain and accomplishment. Many hospitals now encourage you to walk around during labor, use showers and birth balls, eat, drink and wear your own clothes. 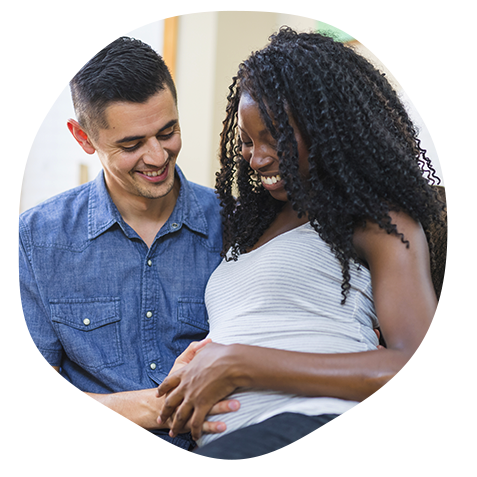 Of course, it’s easier to feel comfortable and safe in a familiar place, so you may choose to give birth in an out-of-hospital birth center or at home. This option is safe if you are healthy, have received prenatal care and are attended by a skilled midwife or physician. You should always have a plan for hospital backup if that becomes necessary. Giving birth is a not-to-be-missed experience. Savor the rest of your pregnancy, look forward to meeting your baby and trust that your body will do exactly what it was designed so well to do. Like countless generations of women before you, you can give birth with confidence, joy and deep satisfaction.